Where I Am Now: Glorious Roses! The weather in the Pacific Northwest has been surprisingly mild this winter, which means that our spring gardening season has started a full month early. I'm already behind on some of my chores, which include early season rose care. Since I have roses on my mind, I thought I'd share some information about them with you. If you love roses but hate dealing with aphids, black spot and chemicals, consider planting varieties that are disease and pest resistant. The rose you see above is one of those. It is called 'Mutabilis' - a China rose that has been in cultivation for thousands of years. It's flowers are the simple, old-fashioned variety, with flat, open faces. The flower color changes from hot pink when it first opens to a peachy-yellow as it fades. The flowers and stems emit a pleasant, spicy fragrance not typical of roses, but delightful nonetheless. I've had one of these in my garden for years and found it to be prolific, beautiful and easy to take care of. Regardless of the type of rose you plant, it is important to remember that roses are heavy feeders. One of the reasons that many of them have severe disease and pest problems is because they are under-nourished. Stressed out plants, just like stressed out people, are more susceptible to health problems. Here is a 4-Step feeding program for roses that was given to me years ago by a rosarian with a passion for both beautiful roses and keeping hazardous chemical use to a minimum. He has long since sold his nursery and moved out of the area. Thanks, Robert, wherever you are! 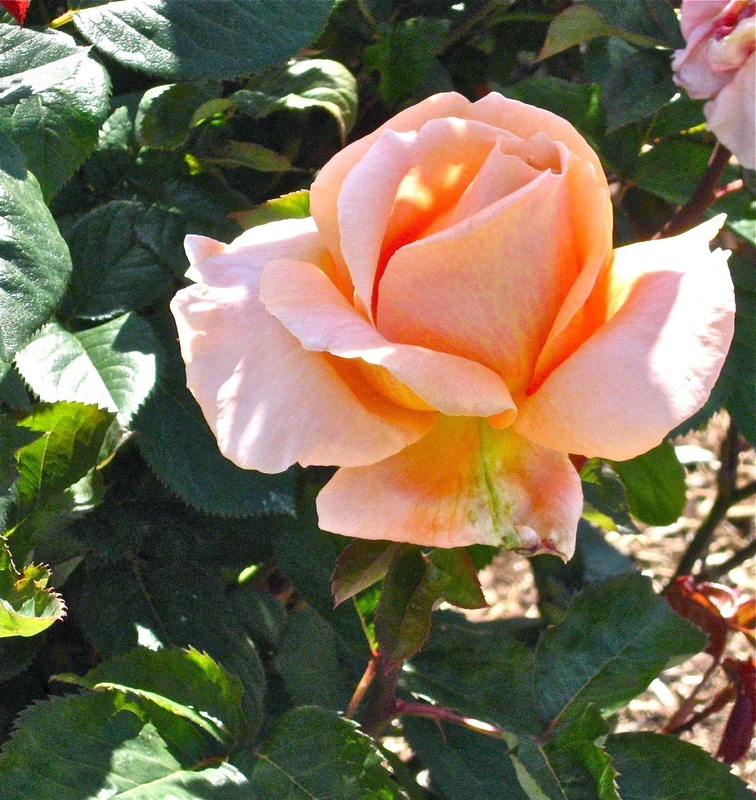 In February, March or April, apply 1 cup of superphosphate to each rose in your garden. Superphosphate works better than bone meal because it breaks down faster. 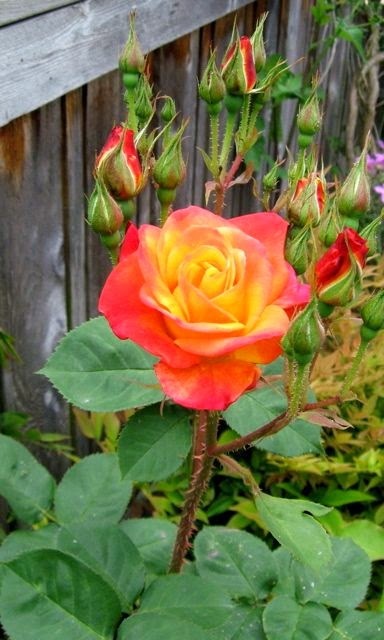 It builds strong root systems and improves the rose's ability to flower repeatedly over the summer. It also costs less. Use it only once a year. Apply 1 cup of alfalfa meal of 2 cups of alfalfa pellets to each rose in March or April. Some rosarians repeat this application in June. Alfalfa releases nitrogen slowly and releases an enzyme that dramatically increases the rose's feeder root system. This means that the plant can make better use of available nutrients in the soil, as well as the fertilizers you give it. Starting in April, as the soil begins to warm, apply 1/2 cup of granular 16-16-16 fertilizer, and re-apply every 4-6 weeks. Your last application should be in August. (As with all granular fertilizers, water well after application unless you have adequate rainfall to dissolve them.) This step is the core of your feeding program. 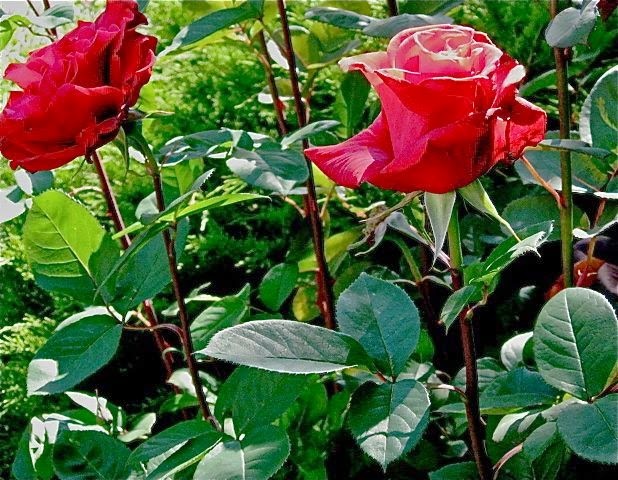 Apply Epsom salts (magnesium sulphate) to your roses to stimulate new, larger canes and to enhance flower color. Use 3/8 to 1/2 cup per rose in May or June. Magnesium sulphate, combined with a complete feeding program, does a good job of rejuvenating old, tired roses. Along with a good feeding program, be sure that your roses get plenty of water during dry spells. They aren't as thirsty as lawns, but still - they aren't drought tolerant. Also, roses need lots of sun. There are a few, rare cultivars that will grow in shade, but most will be leggy, buggy and fail to bloom unless they are in full sun. Be aware that even under the best circumstances, there are some rose varieties that are hopelessly susceptible to problems. If you have them in your garden, you might be better off replacing them with hardier cultivars. Ask at your local nursery for suggestions. There are lots to choose from. Enjoy!